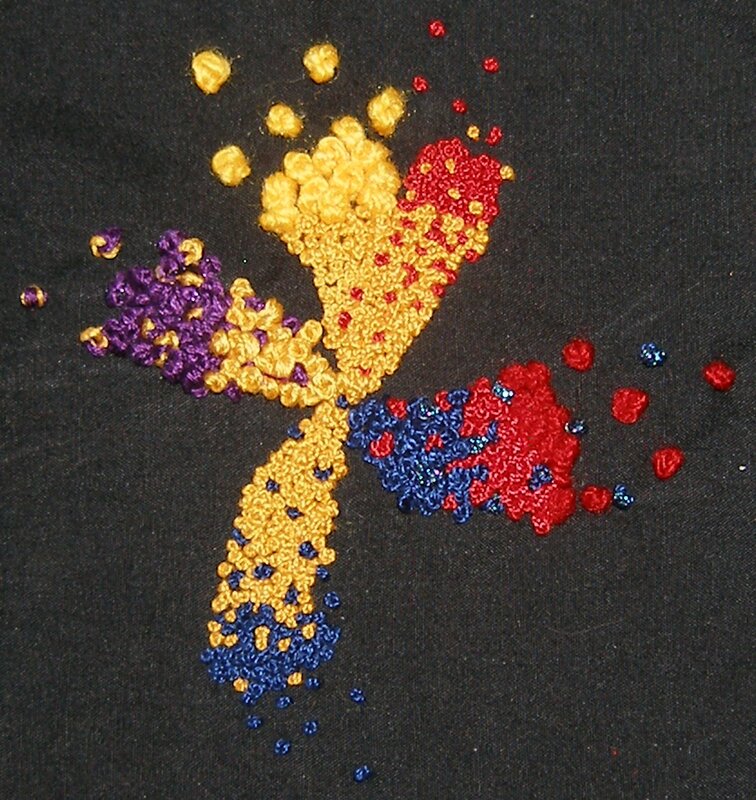 Continuing with the exploration of colour using stitch, this stage involves doing 3 samples using French knots. The first sample is to use 2 primary colours and then add a third colour. I started with yellow, added red to change the effect and then blue as the third primary, I also added in some purple against the yellow. I used a mixture of threads and, with the purple/yellow section, used strands of each colour in the needle at the same time which I think is a very effective way of blending 2 colours. The second sample is blending pastel colours. These were mixed gradually across the shape so the edges of each colour were blurred and there are no defined edges. 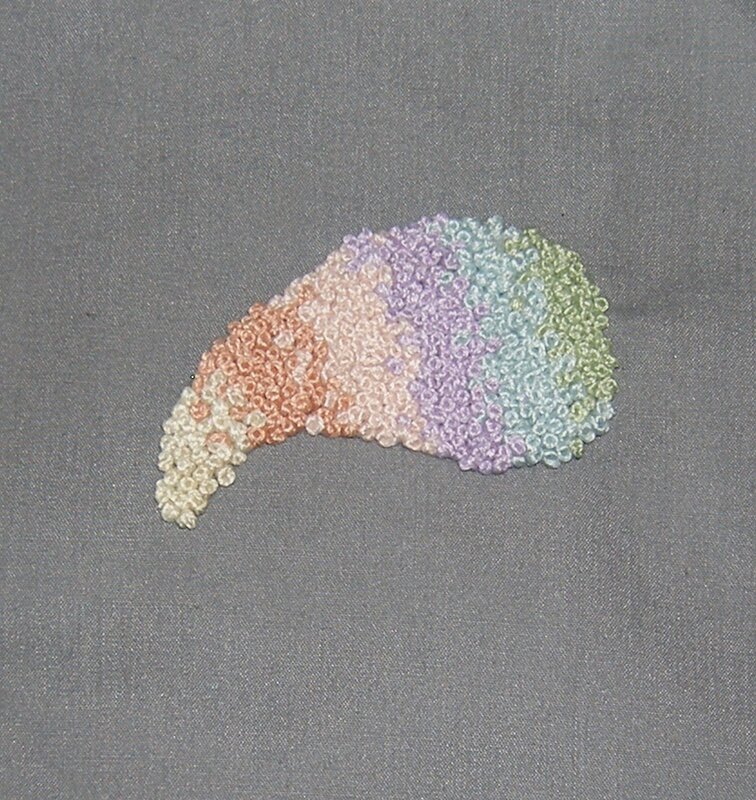 The final sample is to use French knots to recreate an image in pastel colours. 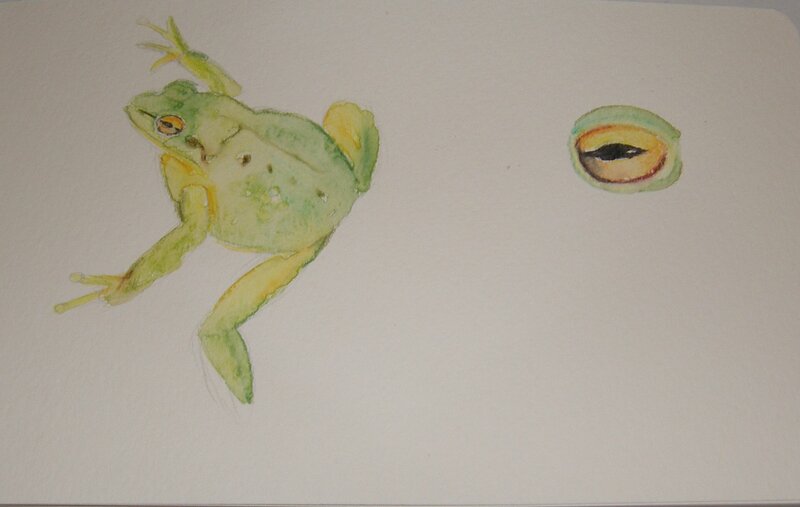 I chose to work on the detail of the frog eye from my earlier sketchbook work. 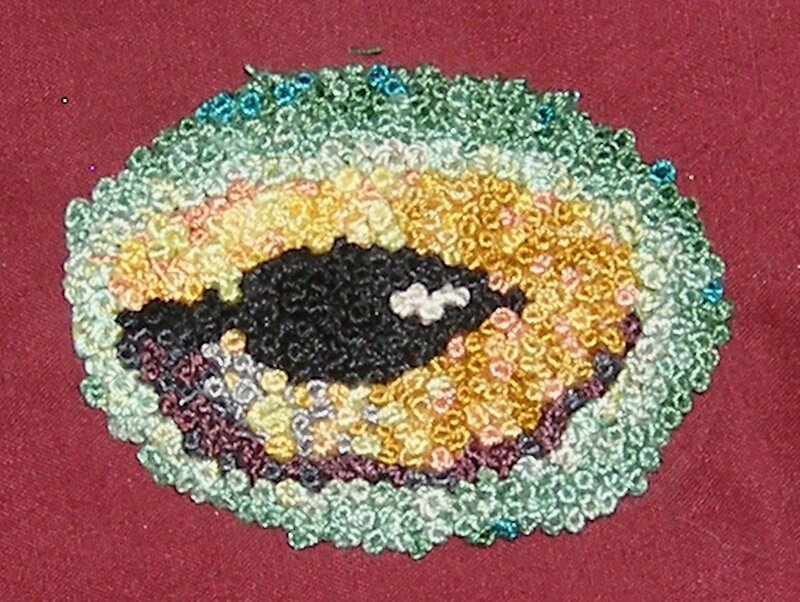 I was pleased with the resulting eye. I used lots of different colours to produce a subtle effect and I think this turned out well.